"John Bradshaw, whose ideas about family dysfunction and the damaged “inner child” concealed within most adults made him one of the most popular and influential self-help evangelists of the 1990s, died on Sunday in Houston. He was 82. The cause was heart failure, his son, John Jr., said. Mr. Bradshaw drew on his unhappy childhood as the son of an alcoholic father, his own drinking problems and his work as a counselor to develop a set of explanations for myriad psychological ills. 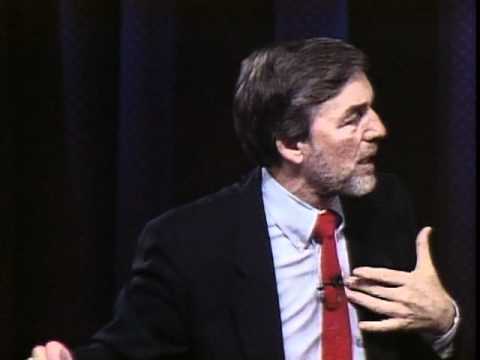 In his television shows on PBS and in books like “Bradshaw On: The Family” (1986) and “Homecoming: Reclaiming and Championing Your Inner Child” (1990), he argued that millions of adults fail to achieve healthy relationships because they have never come to terms with the shame, self-blame and “toxic guilt” caused by parental abuse, physical or emotional. In lectures attended by up to 7,000 people in the 1990's, and in smaller workshops (some of which I attended) he led audiences through “grief work” exercises intended to make them travel back in time and face themselves as they once were as children ~ small, frightened and alone and most certainly confirmed by Bradshaw's own life experience ~ “When I walked out of the seminary, I was 31, but I was like a scared, frightened kid,” he told People magazine in 1990. “I had no place to live, no license, no clothes. I was just a lost soul"
I am indebted to John Bradshaw for using his own tortured childhood experiences to find and identify the Well of Grief that many of us experienced in our own dysfunctional families ~ but I courageously surrendered to and went beneath that well of grief and found a spring of joy, love and soul consciousness ~ a Unified Field of love, joy and soul consciousness that lay not only beyond time and space but also beneath our deepest fears. Bradshaw definitely sensed what lay beneath his personal pain but could never quite surrender to or trust the joy of soul consciousness ~ but knew unconditional love was the path toward finding it. 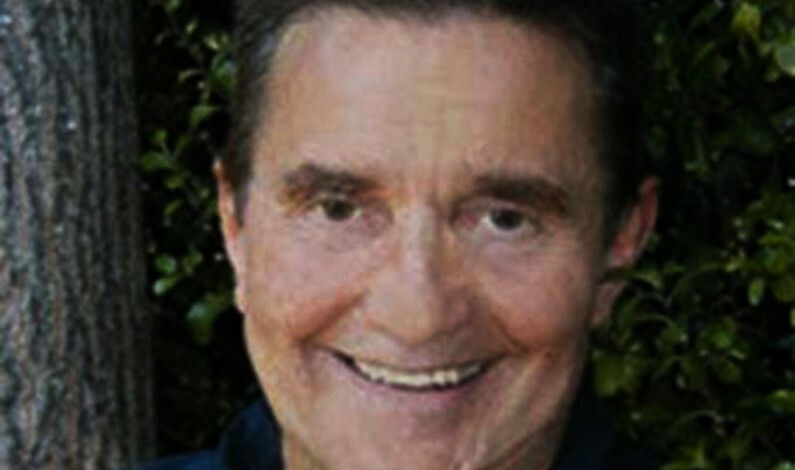 John sensed this same great truth that I know and own but his work most definitely inspired me to not only find and share the truth of this Unified field of love and joy that lay beneath our deepest pain but also to write about it and demonstrate it in my heart centered counseling / consulting work with both Combat veterans as well as civilians with PTHD ~ Post Traumatic Heart Disorder. Dr Stanley Krippner explains my work in the foreword of my book "No psychiatric manual lists "soul loss" as a condition in need of treatment but shamans tell me that "soul loss" is widespread in contemporary society ~ Allen Roland has had the insight to understand what the shamans have told me and he also has developed the skills to help his clients regain their souls." To elaborate on Dr Krippner' s words, I have developed the skills to help my clients regain their souls over the past 45 years by being their coach and not their therapist ~ by jump starting their hearts through an action based self-healing process which stresses love, gratefulness and forgiveness and then coaching them through their deepest fears to the love, joy and a state of soul consciousness deepest intention within them which I have identified as the Unified Field. As such, they begin to see through different eyes . The gift I give my clients, particularly combat veterans, is the gift of the honest, free and joyous gift of myself as well as a clear demonstration of what it's like to be in the field and not be controlled by fear. Reading the first nine chapters of my book is a prerequisite before our first session (either Skype or in person) where I literally take them by the hand and tell them that "It's Your Turn!" It is here, at the point of heart based action, that the soul connection is established. Through their life chart ~ they connect the dots of all their important love relationships ~ and then the inner soul light goes on because their homework is to thank these people and tell them why they are or have been a gift in their life. This action based gratitude homework leads them through their fears and to the life changing realization that they were loved and are now actually loving and healing themselves. They slowly begin to see through different eyes ~ eyes unclouded by fear and pain and a light at the end of their tunnel of despair. And I, as their coach versus therapist, empower them to give that scared and alone child a voice and become their friend forever for I have also touched their hearts with my empowering work and unconditional love ~ much as Bradshaw did with his ground breaking work and books in the 1990's. All the sessions and exercises are geared toward my clients regaining their souls ~ for the vast majority of my clients have had significant birth trauma or early childhood trauma ~ whereas psychic pain has overridden their inherent joy as well as a state of soul consciousness. From that Well of Grief they created an ego as well as a protective cocoon of ego consciousness ~ for it was seemingly their only choice for survival. Unfortunately, most of us go through our lives recreating our original pain and aloneness in our relationships ~ not realizing that beneath that well of grief is our original joy, intention and purpose as well as our innate connection to the Unified Field and a state of love and soul consciousness. It is within that cocoon of ego consciousness that the innocent and fearful child emotionally resides waiting to be seen and touched through unconditional love and then empowered to say yes to themselves and no longer be controlled by fear. This risk taking homework of gratitude inspires people to take action and encounter their deepest fears, confront and go beneath their pain and finally surrender to the love and joy deepest within themselves ~ as well as reunite with a Unified Field of love and soul consciousness that exists not beyond time and space and also beneath their deepest fears. The key to the kingdom of the soul is gratitude for God (a loving plan in action) only reveals itself to a grateful heart. At four years old, while living with my grandfather, I knew ~ for a few moments ~ that I was a beloved and essential part of a loving universe ~ I was in the Unified Field of love and soul consciousness. 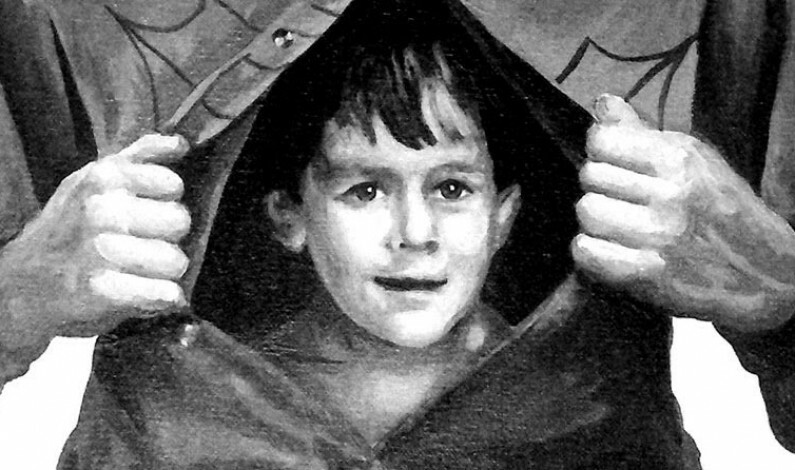 Similar to John Bradshaw, my whole lifetime narrative became an unconscious Quest to find that little boy and empower him to feel and love that deeply again as well as own and share his joyful truth with the world. Thus, my whole life has been a journey to surrender to love, fully open my heart and eventually see through that child's innocent and knowing eyes again ~ and courageously share what I see as I am doing now with you. "The great philosophical triumph of any Unified Field theory is implicit in the first word of its title. For it will carry to logical fulfillment the long course of science towards the unification of man's concepts of the physical world. And the fiery truth is that the original joy within us is God ~ for God is love. Love itself is the ultimate life force, love alone lies as the foundation of a vast evolutionary process. Each of us participates in this joyous evolution as co-creators who are willing to go out and set everything ablaze by opening our hearts, claiming our gifts and playing our unique part in a universal loving plan. Jesus, Buddha and all the great spiritual figures were in this sense divinely human. They were all evolutionary forerunners of a state of love and soul consciousness that we can and must attain in order to evolve ~ they were all in a Unified Field that transcends time and space. John Bradshaw led us, through his work, to the psychic pain of the well of grief that separates us from this great internal truth and I in turn have fully surrendered to that well of grief from a place of accountability and gratefulness and discovered and identified that beneath it is a deeper truth ~ a spring of love, joy, intention and purpose which still governs my life of heart based service. The deep underlying unity of the universe is a psychic energy field of love and soul consciousness the Unified Field ~ which exists not only beyond time and space but also beneath our deepest fears and we resist its universal pull and urge to unite at our collective peril. I am very aware that there is a gentle pull from deepest within ourselves calling us into universal service from a place of love, joy and soul consciousness and listening to and responding to that call has led me to my greatest joy and sense of universal belonging. 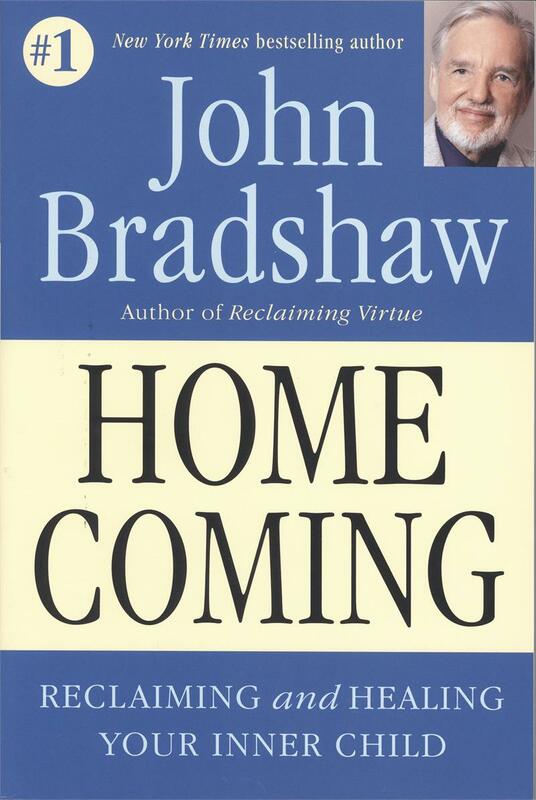 John Bradshaw played a significant role in leading us into the terror and aloneness of childhood abuse and gave us a glimpse of the joy, intention and purpose that lay beneath our deepest pain. Thank you for this, Allen. 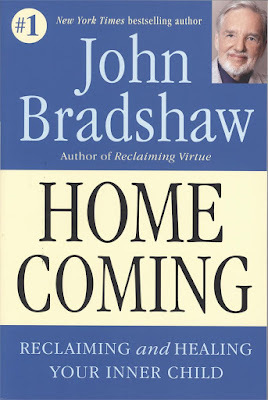 John Bradshaw was a source of inspiration in our family and his writing has made an impact on my life. I feel honored to have known of him and been blessed by what he shared.